Third-grader Logan Applebaum has the perfect solution to finding time for all that pesky homework—just have his cousin, Java, do it for him. With a robot cousin, Logan’s pretty much guaranteed straight As. But when Mrs. Perriwinkle announces that the class will have a geography bee, Logan realizes that if he doesn’t want to be exposed as a cheater, he’s going to have to hit the books and fill his own hard drive with facts. The competition’s going to be tough. And the more time he spends studying, the more he wants to show what he’s learned. Can Logan out-smart the mega mean Silverspoon twins who win at everything and a cousin who’s a super computer to come out on top as the geography king? 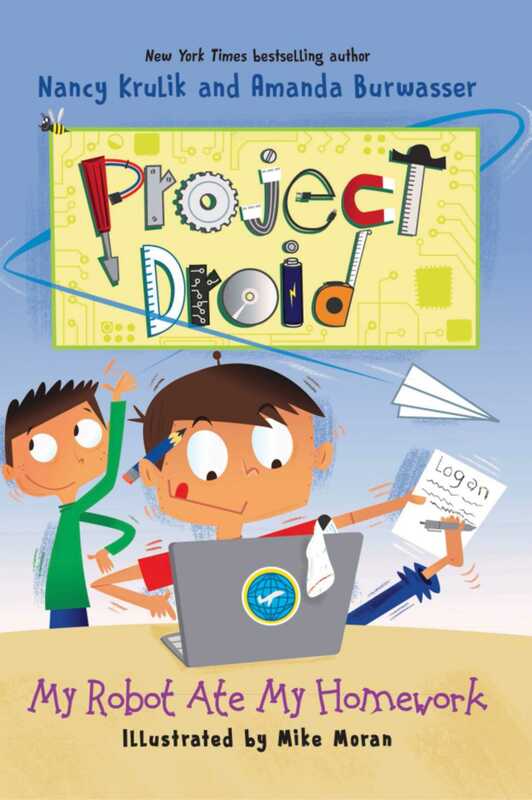 Internationally bestselling author Nancy Krulik and her incredibly talented daughter, Amanda Burwasser spin hilarious high jinks in the third book in the Project Droid series, which combines the literalness of Amelia Bedelia with a wacky modern edge, making for hours of laughter. And the fun continues with an activity in the back! [F]unny enough to keep fledgling readers turning pages." Kirkus Reviews on Science No Fair!